Batman Pulls the “Tell Him I’m Not Here” Ruse. 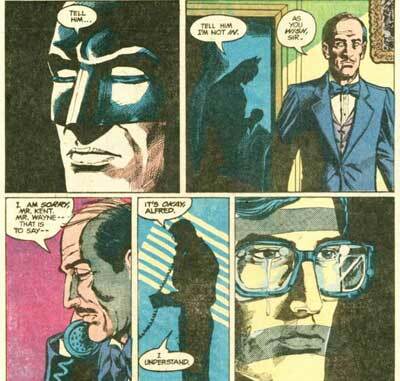 Poor Alfred. It must be tough to be caught in the aftermath of what appears to be one poorly-thought out hook up.